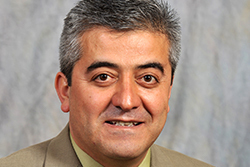 Dogan Gursoy, Taco Bell Distinguished Professor in hospitality business management at the Carson College of Business, has been named a Yangtze River (Changjiang) Scholar—the highest academic award issued to an individual in higher education by the Ministry of Education of the People’s Republic of China. The Yangtze River Scholars Program recognizes professors who exemplify the highest standards in research, advancement, strategic thinking, mentorship and leadership. Only a small number of foreign scholars receive the award each year. “I am very excited to be named a Yangtze River (Changjiang) Scholar. It is a great honor. This will help me further my research collaboration with Chinese colleagues and provide opportunities for WSU to initiate new collaborations or strengthen the existing collaborations with China partner universities,” says Gursoy. Gursoy is renowned for his research in hospitality and tourism and was recognized in 2011 as one of the top ten authors in the world by the Journal of Hospitality and Tourism Research. He is a frequent keynote speaker at industry conferences and has received numerous research awards. He is the only researcher in the field of hospitality and tourism to be named a 2018 Yangtze River Scholar, and the third in his field to receive the award since its inception in 1998.